Cuba Photo Tour - See Cuba before it changes forever. Join me for a fun-filled photo tour of Cuba that includes Havana, Cienfuegos, and Trinidad de Cuba. Take a learning vacation and see Cuba before it changes forever. This tour is fully licensed for legal travel by U. S. citizens to Cuba under a people to people cultural and educational license by the U. S. Treasury Department. Our price of TBD is for deluxe accommodations at El Presidente Hotel in Havana and equally deluxe accommodations in Cienfuegos and Trinidad. We'll be out shooting in some of the best locations in Havana, Cienfuegos, and Trinidad. We'll also visit historical locations, art and photography galleries and meet with a local photographer and photography teachers. But be assured we'll find time to try plenty of Cuban food and fun too. This is a photo-centric tour and is open to all levels of photographic proficiency and interest. This is a small group tour designed to give you a quality travel experience in Cuba. The tour originates and concludes in Havana. All transfers and ground transportation in Cuba are included. Full details on inclusions and exclusions are available from Cuba Tour and Travel. They can also assist you with round trip charter air flights from Miami to Havana. I'm glad to answer your tour and photo related questions. Take a learning vacation and see Cuba before it changes forever. We do have new dates for 2011 & 2012, Contact Jerome for more info. We can do specialized tours for private groups as well. 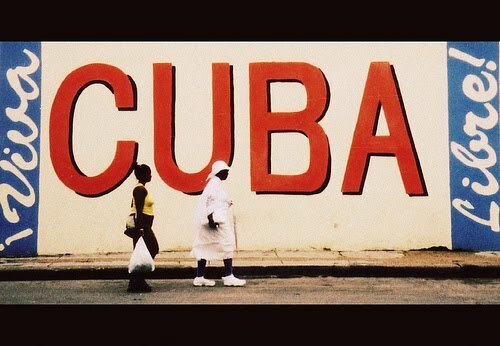 Visit Cuba now before the hordes. I am also hosting a tour to Tahiti & the Marquesas Islands for August of 2011 and a photo tour/workshop to Fiji for November/December of 2011. More info available soon. I’m wondering if you have noticed how the tour & travel industry has changed? What a people seemed like a never discussed issue.I've to seen your site,the theme of site is good,what ever you discussed with people,they got new things.I’ll check back to see what you have to say.